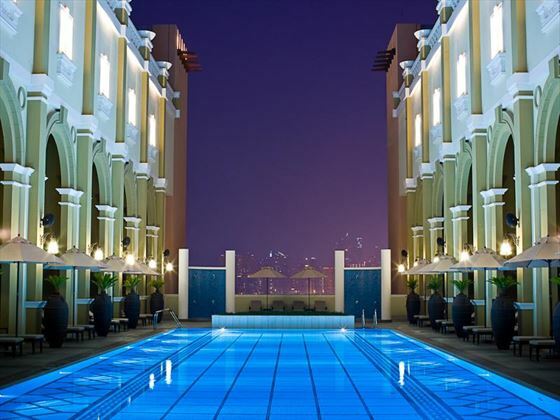 This centrally located property is really affordable and comes with bags of Arabian character as well as free access to all of the beachfront delights at Riva Beach Club, just 10 minutes away via a free shuttle bus. 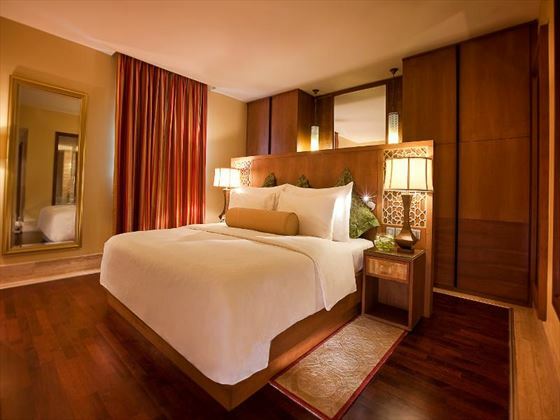 Rooms are more than comfortable and perfect for getting some rest and relaxation in between experiencing the local sights and excursions, which include trips to the desert, local golf courses and numerous excuses for retail therapy. Movenpick Ibn Battuta Gate has a superb Indian restaurant and one of Dubai's hottest dance clubs so you'll be able to make the most of life in the city even after sundown. With spa massage rooms and a fully-equipped gym, complimenting the rooftop lap pool, you'll discover plenty of chances to keep fit in the UAE and thanks to a kids' club and play area, parents might even find a few hours of 'me time' to spend exactly as they please. 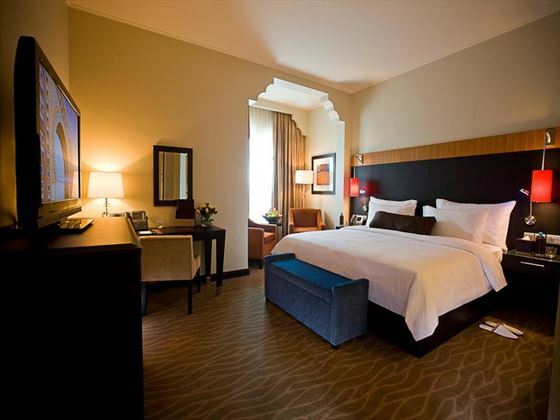 Set in a peaceful district of central Dubai, with shopping malls and landmarks just steps away. The location of this hotel is ideal for those looking for a peaceful getaway with lots to do right on your doorstep. 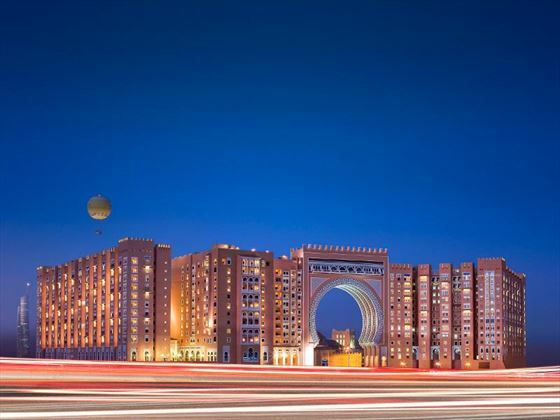 Adjacent to your hotel is the Ibn Battuta shopping mall, filled with shops, eateries and a cinema. 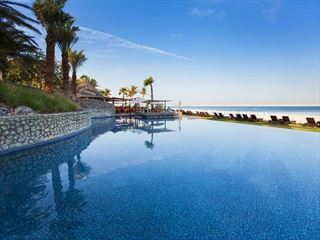 The hotel provides complimentary shuttle transfers to its private beach club on the Palm Jumeirah, great for indulging in a day full of relaxation and fun beach activities. An abundance of golf courses surround you for those who want to enjoy a couple of rounds in the sun. 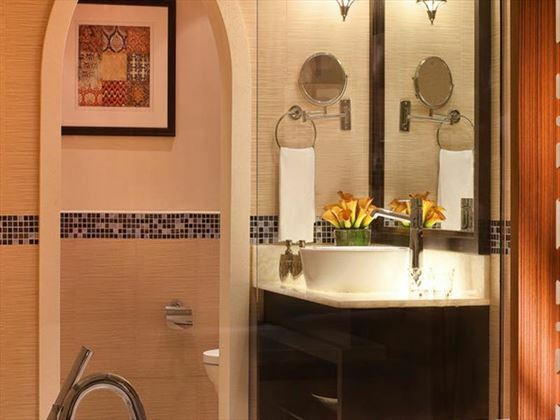 Dubai Parks & Resorts is just 20 minutes away, comprising of three exciting theme parks and one water park. 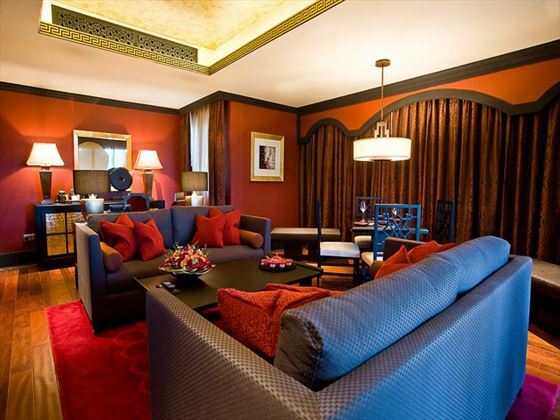 Over 300 rooms and suites all boasting a full-compliment of contemporary features and luxury amenities. A recent renovation has helped to create a homely and welcoming feel with down comforters, custom-designed duvets and cotton-thread linen providing plenty of pampering pleasure for a good night's rest. There is also a dining option at the Riva Beach Club called Riva. Offers fun arts & crafts activities, as well as indoor games and Wii and PS3 consoles. Open 10am-9pm for ages 3 to 12. 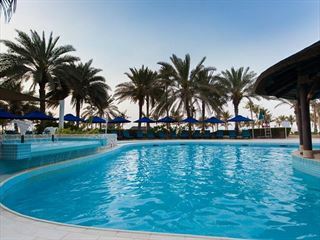 The resort has a great children’s playground, swimming pool and games room. Available upon request, additional charges may apply. 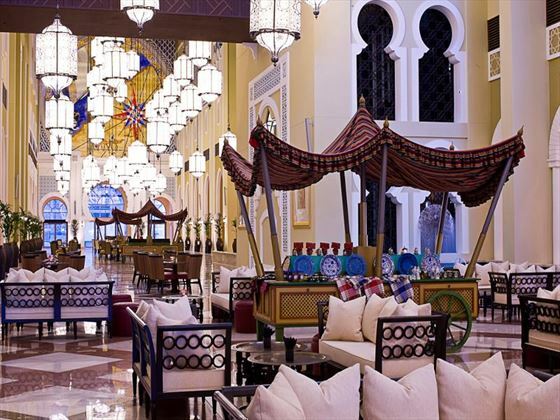 Unlimited dining and house beverages in all Movenpick Ibn Battuta Gate bars and restaurants. Food and soft drinks available on a daily basis from 10.00am – 11pm. Alcoholic drinks available on a daily basis from 12 noon – midnight with 20% discount on all premium brands, except for Champagne.